The numbers have been crunched, the points have been tallied, and a decision has been made: Creed lost the five-day holiday weekend, coming in third behind The Hunger Games: Mockingjay—Part 2 and The Good Dinosaur. But like Balboa himself, the Rocky sequel/reboot/spinoff went down swinging, and it looks like a winner just for going toe-to-toe with the final entry in an obscenely successful YA franchise and the latest from an animation studio with a 16-0 record. 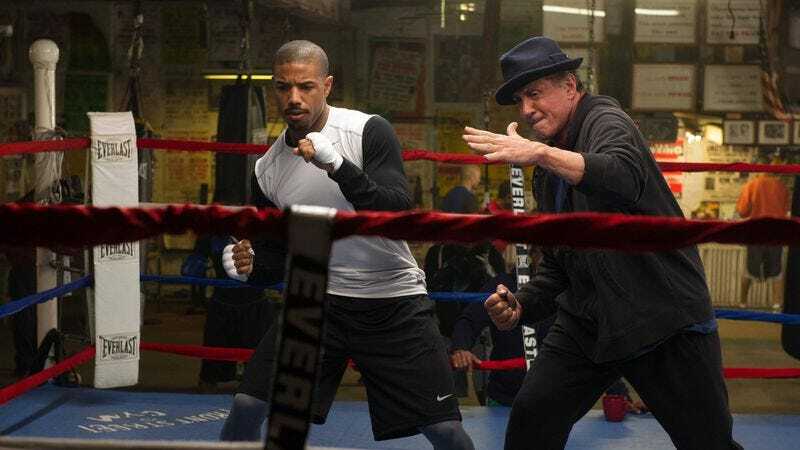 Creed made $42.6 million over the last five days, and $30.1 million in its first three—the best debut ever for a Rocky movie, provided one doesn’t adjust for inflation. Adrian would be proud. It was a Thanksgiving weekend of qualified success stories, with studios having to weigh their gratitude against inflated expectations. Mockingjay—Part 2 is, of course, an enormous hit, easily taking first place with another $75.7 million, climbing to $440 million worldwide, and losing less than half of its domestic audience in week two (a feat none of its predecessors can claim). However, it’s also made less money overall than those other Hunger Games movies, and it’s looking likely that it will be the low grosser of the franchise. Meanwhile, The Good Dinosaur’s $55.5 million intake was enough to earn it the title of fourth best Thanksgiving opening ever. But its three-day take ($39.1 million) was Pixar’s lowest since their first feature, the original Toy Story, way back in 1995. Fox, on the other hand, had to cling to the fact that The Martian remains one of the year’s biggest hits. Otherwise, they’d be forced to dwell on the truly pathetic performance of Victor Frankenstein, whose $3.4 million gross makes it the worst “saturated” opening (a.k.a. debut for a film that opened on at least 2,500 screens) of all time. The film was edged out of the top ten by a mixture of studio holdovers and expanding indies, the latter group represented by Spotlight ($5.7 million) and Brooklyn ($4.8 million)—two smart adult dramas that are really finding their audiences. That’s one thing the A.V. Club can be thankful for this holiday season.